Half of an internal Protoleptostrophia perplana brachiopod found in the Silver Creek Member of the North Vernon Limestone. Specimen found in Clark County, Indiana. 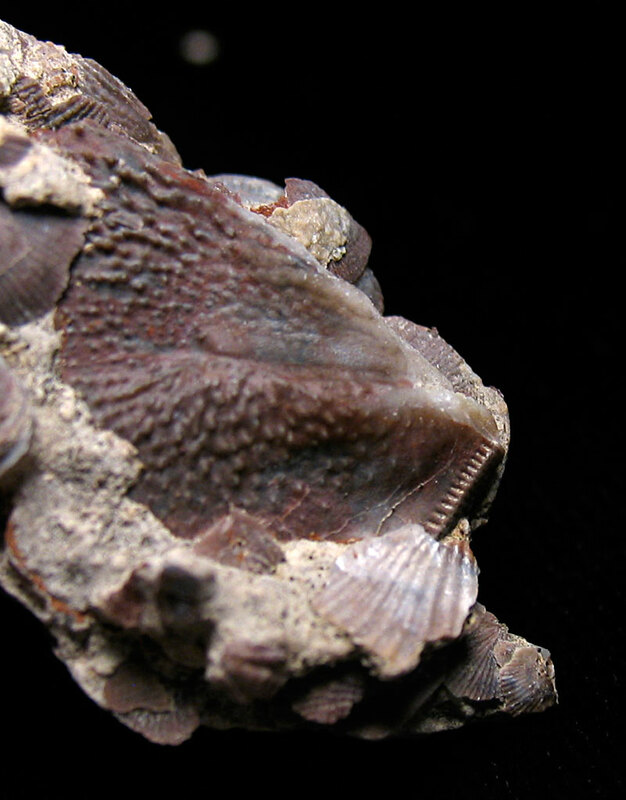 Brachiopod existed in the Middle Devonian Period (Eifelian). While this fossil is not complete, features I like are the muscle scars and exposed hinge teeth. 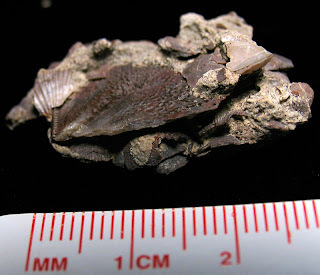 It might be mixed in with other brachiopod fragments of Chonetes and Sprifier. The Silver Creek Member ranges 0-9 meters in thickness through out Clark County. Described by (Campbell & Wickwire, 1955) as "homogeneous, fine-grained, bluish to drab or gray, argillaceous, magnesian limestone". I find it to be a light gray to whitish in color and quarried for cement. Maybe it is the reason Cementville exists with the Essroc plant in Clark County. It was named by C.E. Siebenthal in the 1901 Indiana Department of Geology and Natural Resources Annual Report 25. Formations of Ordovician, Silurian, and Devonian Rocks in the vicinity of Hanover, Indiana Compiled by Guy Campbell and Grant T. Wickwire - January 1955. 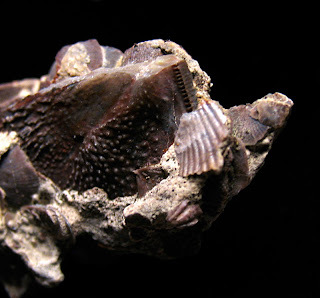 Picture on fossilpictures.wordpress.com web site. Especially picture located lower left corner (click to enlarge).